Published on September 9, 2013 in country breaks and hill walking, inspiration, Personal Travel, rambling in the country, Romantic Cottage Breaks, rural escapes, walking holidays, weekend breaks and Yorkshire Moors. Closed Tags: Best Breaks for Bookworms, hill walking, self-catering breaks, Walking holidays in Yorkshire. Haworth expresses the Brontës; the Brontës express Haworth; they fit like a snail to its shell. Virginia Woolf, 1904. Visit the charming town of Haworth and the surrounding moors for the ultimate literary and historical experience on a cottage holiday. 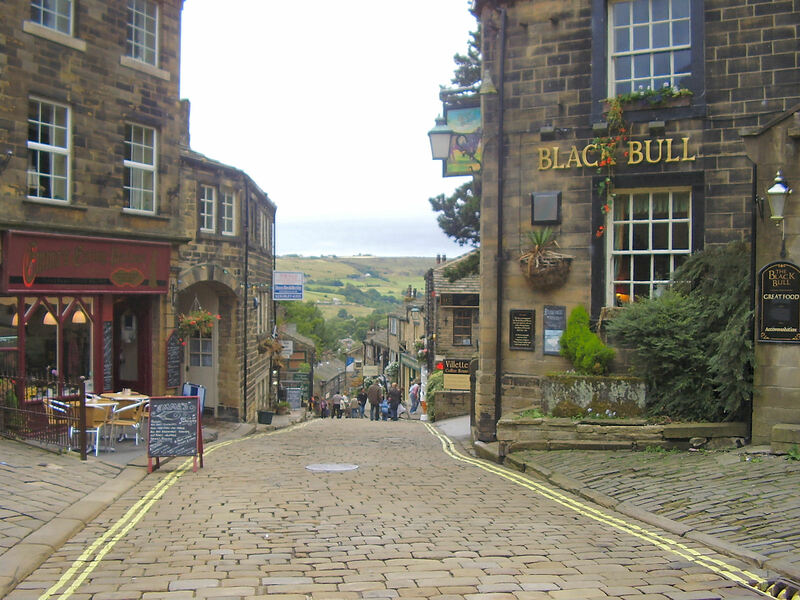 Situated in Yorkshire’s beautiful Worth Valley, Haworth is a town with bags of charm. The steep high street features a number of antiquarian bookshops and beautiful unique gift shops as well as the enchanting Rose & Co apothecary where you will find a huge range of Victorian-inspired beauty products, gifts and even clothing. Sounds lovely, right? The best thing about Haworth, though, is that it was the home of the Bronte family. Emily, Charlotte and Anne lived at the Haworth Parsonage with their parson father Patrick and legendary reckless brother, Branwell. You can explore the house the sisters lived in whilst they wrote their finest works, including the masterpieces Wuthering Heights, Jane Eyre and The Tenant of Wildfell Hall. Once you’ve had your fill at the Bronte Parsonage Museum, there are plenty of other Bronte sights to see too! 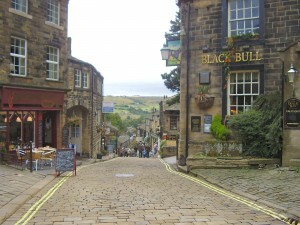 The village is home to the Black Bull pub, believed to be the setting for Branwell Bronte’s famous descent into alcoholism and opium addiction; it’s truly a remarkable experience to enjoy a pint of well-kept ale, dreaming of a time when the Bronte sisters’ raucous brother would have been starting fights at the very same bar. If you stay for a long weekend or even a full week, there are plenty of other Brontë spots to visit in the surrounding area. The town of Thornton is a short drive away, where you can see the house in which the famous sisters were born, and Wycoller Hall is a ruined house which was dismantled in 1818 and believed to be the inspiration behind Jane and Rochester’s home Ferndean Manor. If you do decide to walk the whole Brontë Way, you will find that the views are absolutely spectacular, even if you have somehow managed to let the novels pass you by. There are plenty of traditional country pubs to stop at for refreshment, as well as the fascinating Keighley & Worth Valley Railway, a heritage steam train line which runs from Keighley to Oxenhope and offers unbeatable views across the moorland. This area of the country is truly and beautiful and inspiring place to enjoy a self-catering cottage holiday. Take a look at our self-catering cottage holidays in Yorkshire, where you will find a number of charming, traditional and historical properties to rent in this area.